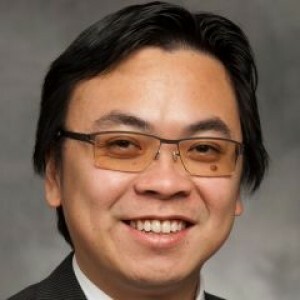 Joseph Chow is an Assistant Professor in the Department of Civil & Urban Engineering and Deputy Director of the C2SMART University Transportation Center at NYU. He heads its Behavioral Urban Informatics, Logistics, and Transport (BUILT) Lab, conducting research in transportation systems, with emphasis on multimodal networks, behavioral urban logistics, smart cities, and transport economics. Recent projects involve modeling shared autonomous vehicle fleets, designing a framework to analyze Mobility-as-a-Service operating policies, optimizing electric carshare rebalancing, and developing a virtual ecosystem for a Network of Living Labs to test and benchmark emerging mobility technologies. Research research briefs can be found here. Dr. Chow is author of a book on “Informed Urban Transport Systems: Classic and Emerging Mobility Methods toward Smart Cities” from Elsevier. Dr. Chow teaches graduate courses in TR-GY 7013 Urban Transport & Logistics Systems, TR-GY 7073 Travel Behavioral Informatics, and TR-GY 7133 Public Transport, offered through the Transportation Planning & Engineering MS program at the Department of Civil & Urban Engineering. Research opportunities may be available as well; please feel free to reach out to Dr. Chow for details. Prior to NYU, Dr. Chow was the Canada Research Chair in Transportation Systems Engineering at Ryerson University. From 2010 to 2012, he was a Lecturer at University of Southern California and a Postdoctoral Scholar at UC Irvine. He has a Ph.D. in Civil Engineering from UC Irvine (‘10), and an M.Eng. (‘01) and B.S. (‘00) in Civil Engineering from Cornell University with a minor in Applied Math. Dr. Chow is a former Eisenhower and Eno Fellow and a licensed PE in NY.